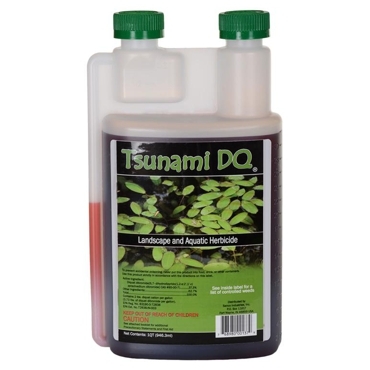 Tsunami DQ is a non-selective herbicide for both submerged and floating pond weeds. 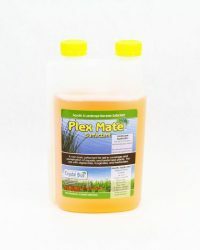 Effective in controlling duckweed, water hyacinth, pondweed, slender leaf pond weed, coontail and other aquatic weeds. Tsunami DQ can be blended with other herbicides for many uses. Tsunami DQ is a diquat dibromide based herbicide. How do I apply Tsunami DQ, aquatic herbicide? Spray application is most effective and recommended when treating weeds in your pond or lake with Tsuanmi DQ. Please note, this is a non-selective herbicide and can burn or kill plants it comes into contact with. See labeled instructions for amount of diquat needed. 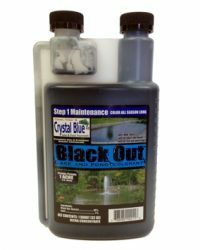 Application rates will vary based on overall size and depth of the pond in addition to identifying what type of weed you are treating. It is necessary to wear protective clothing and eyewear when applying and avoid coming into contact with mist.